Dr. Richard Lachman is Director of the Transmedia Zone and Associate Professor, Digital Media in the RTA School of Media at Ryerson University. Dr. Richard Lachman is Director of the Transmedia Zone and Associate Professor, Digital Media in the RTA School of Media at Ryerson University. He also serves as a Technology and Creative Consultant for entertainment and software-development projects. A Gemini award-winning producer, Richard has worked on many highly successful Canadian and US interactive and convergent-media projects over the last 15 years. Richard completed his doctorate at UNE in Australia studying software recommendation-engines, holds a Masters degree from the MIT Media Lab’s “Interactive Cinema” group, and Bachelors in Computer Science with Electrical Engineering, also from MIT. He joined a startup eventually acquired by Mattel, ending as Lead Designer and Lead Engineer for the Petzsoftware with over 3 million units shipped worldwide. The software has received awards from ID Magazine and Communications Arts, was featured in the New York Times, USA Today and Time Magazine, and was part of an exhibition at the American Museum of the Moving Image in New York.His later work in transmedia has garnered a Gemini, CNMA and Webby Honouree awards. 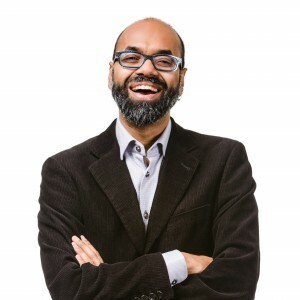 He leads the Transmedia Research Centre (exploring the future of content through industry partnerships and cutting-edge research), and also directs the Transmedia Zone (an ideation and prototyping incubator for digital storytelling projects). His areas of interest include transmedia storytelling, digital documentaries, augmented/locative/VR experiences, mixed realities, and collaborative design thinking.